Are the guys in your life hard to buy for? Mine too. That’s why I always need inspiration for stocking stuffer ideas for men. However, I have found, that the key to buying Christmas gifts for guys is to summon my inner Inspector Gadget and think manly thoughts. And BBQs. Those are good to think about too. P.S. If you’re looking for romantic gifts for guys, go here. 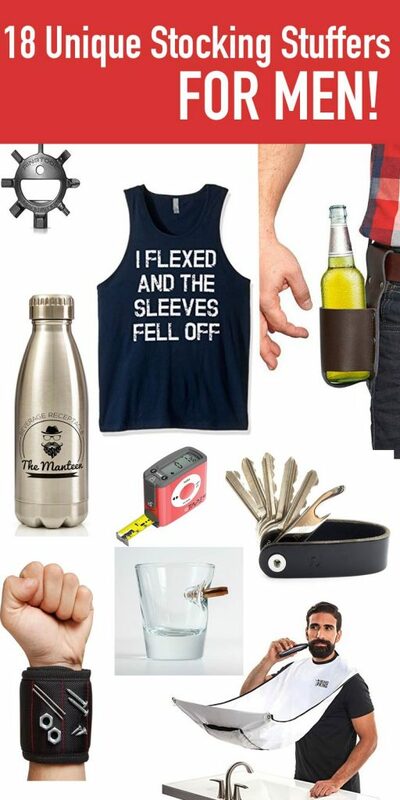 I did some research and found these 18 great gifts that guys love. 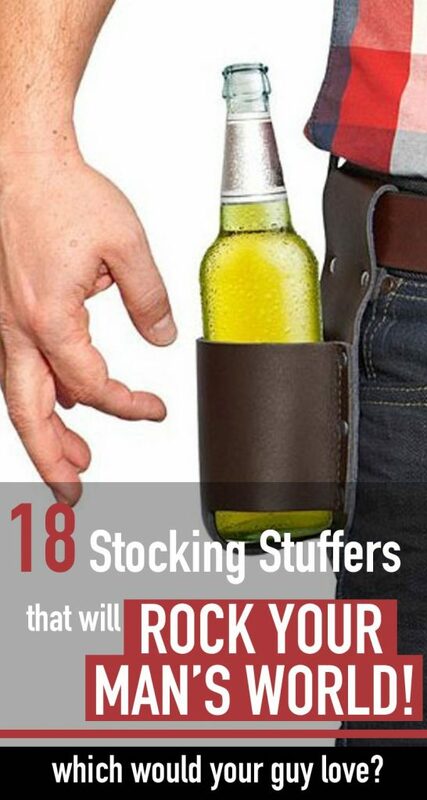 They’d also double as unique stocking stuffers for men as well! These are top gifts, all of them highly rated on Amazon, so you know you’re getting a great stocking stuffer gift and it will be delivered straight to your door. Enjoy these fun gift ideas for cool stocking stuffers for all the guys on your list. High-quality, soft cotton tee shirt that is sure to make everyone laugh! Your husband or boyfriend can show off his great (or not so great!) muscles and bring a smile to all around him. 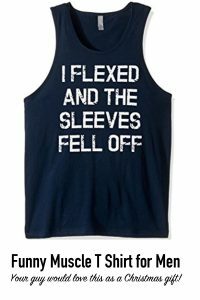 Makes a great gag gift, especially for guys who workout a lot (or not!). ULTIMATE MANLY T SHIRT! You’ve got to get this as a Christmas stocking stuffer gift for your guy! Grab this gift for the hard to buy for guy! He’ll love it! 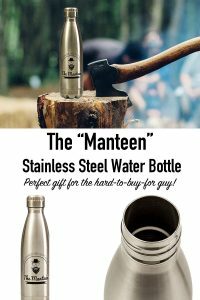 Perfect for both hot and cold beverages (yes you can put beer in it), this high quality stainless steel water bottle for men keeps beverages at the right temptrue without burning hands. Also there’s no “metal” aftertaste. Perfect gift for any guy on the go! 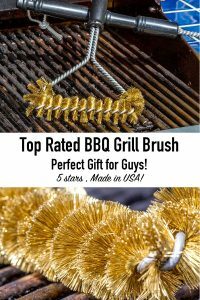 Made with brass bristles safe for all BBQ surfaces. High quality and made in the USA. Perfect size for large and small grill. 100% money back guarantee! What guy wouldn’t love this great gift! Amazon 5-star with nearly 200 reviews! Grab one as a Christmas stocking gift for your husband or father! 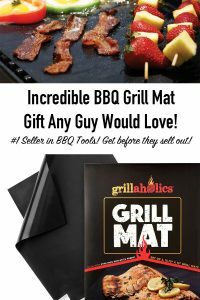 Incredible BBQ Grill Mat Any Guy Would Love! We use these in our home and LOVE them. Seriously, they will revolutionize your BBQ cooking! #1 Seller in BBQ Tools! Get your guy one before they sell out! Each 1.75 oz shot glass is hand sculpted with heavy glass and a real, lead-free 0.308 caliber bullet. Gives new meaning to “taking a shot”! Great conversation piece! 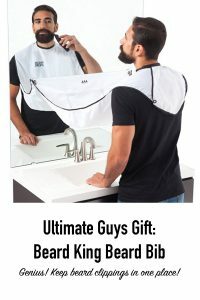 UNIQUE GIFT for men! Just flat out cool. OH MY GOSH. These. I’m tried several of these chocolate bards from Chuao and they are out-of-this-world and totally unique! My husband and kids go crazy over these! Indulgence his sense of taste with this incredible s’mores chocolate bar that combined mini marshmallows with crushed honey graham crackers in a tasty milk chocolate based. All naural ingredients. 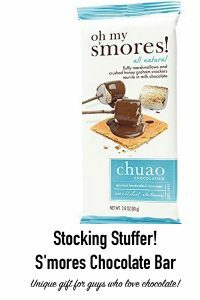 Chuao was voted the finest chocolate in the US by Food & Wine Magazine! One of a kind flavor that he’s sure to love! Magnetic Wristband Tool–Perfect for Handy Husbands! FINALLY! Keep nails and screws in one place with this innovate gift men love! Perfect gift for do-it-yourself guys! 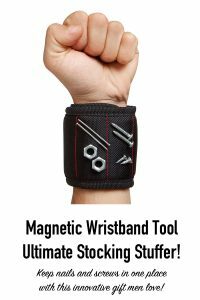 Magnetic wristband holds all his tools, nails screws and bolts in one place. Strong magnets hold everything in place. 100% money back guarantee! Wonderful stocking stuffer gift for guys! As seen on Shark Tank! Works like a dream to control your man’s hair as he maintains his beard and mustache. Don’t miss this unique way to keep hair clippings in one place! 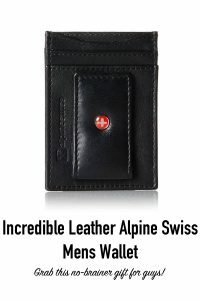 Genuine leather with magnetic money clip. Slim design is perfect for travel or for carrying in a front pocket. High quality gift for the man who has everything! Amazon 5 Stars and 3K reviews! Grab this no-brainer, affordable gift for guys! 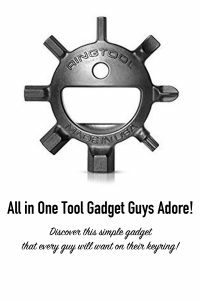 All in One Tool Gadget Guys Adore! Discover this simple gadget that every guy will want on their keyring! Easy to access tool made for a keyring. Perfect for do it yourself guys, handy husbands, mechanics or anyone who likes to tinker in the garage. Great conversation piece too! Includes 3 screw driver heads and 5 wrench sizes. Great stocking stuffer for husbands or dads! 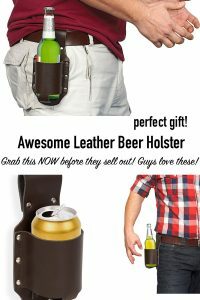 Awesome Leather Beer Holster–Perfect Gift! Convenient holder for all standard beer bottles and/or soda cans. Perfect for when guys are working outside or in the garage. Keep drinks nearby but you hands-free! Super idea that any man would love! Grab this NOW before they sell out! Guys love these! HIGHLY RATED on Amazon! Get yours as the perfect stocking stuffer for your man! Great conversation piece! He’ll be the coolest guy at the party with these all-blank, high quality cards. Designed by Bicycle cards and made in the USA! 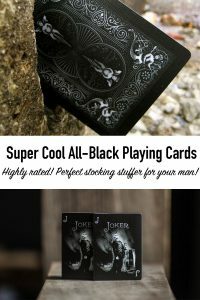 Perfect Christmas gift for the guy that plays cards! Brilliant idea. 5 Stars and 500+ reviews! Don’t miss this easy gift for guys! Stand your phone up easily with this simple device! Also great for helping to prevent dropping your phone. Great gadget for tech loving guys! Super comfortable, stretchy lyrca headband gently holds headphones in place while running, sleeping or traveling. Must-have accessory for business travelers! Made to last and the perfect gift for men! 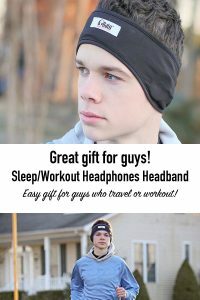 Easy gift for guys or travel or workout! Grab yours! 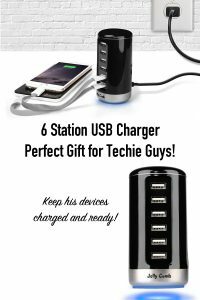 6 Station USB Charger for Tech Guys! Perfect for all the electronic devices my husband owns (how about yours)? Never enough plugs in our house… but now, that problem is solved! Keep his devices charged and ready! Perfect gift! “Wonderful, very practical, and easy to assemble. 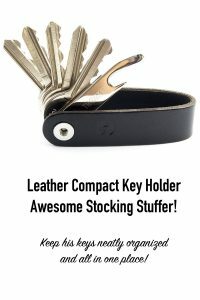 Stylish, high quality key ring holder keeps keys compact, organized and locked in position. Must-have for the men in your life! AMAZING! All your keys in one place! Grab this now! 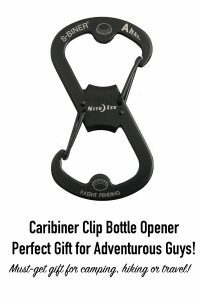 Super gift for camping, hiking or travel! Must-get! 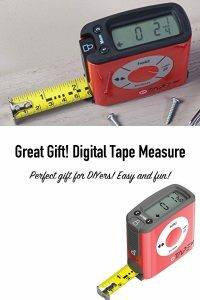 Make measuring fast and easy with this digital tape measure. Rugged, durable, weather resistant. Accurate, high quality. 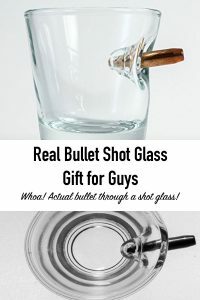 Great gift for guys! Perfect gift for DIYers! Easy and fun! Got some great ideas?! I hope you’re inspired and off buying gifts for your man so that you can cross a few names off your gifts-to-purchase list! You have many other people to buy for, right? That’s why I’ve created several other Christmas gift lists that I know you’ll appreciate. Be sure to check these out as well!